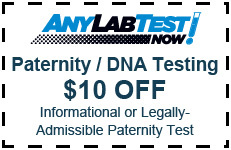 ANY LAB TEST NOW® is your local resource for legally-admissible DNA testing results when required for immigration. We offer a comprehensive Immigration DNA Test that provides court-admissible evidence for immigration purposes. If you (also called the Petitioner) are trying to help a family member (the Beneficiary) get into the United States, you may need to prove your relationship through DNA evidence if other evidence (birth certificate, school records, etc.) is insufficient. Our vast experience with immigration clients and agencies worldwide sets us apart as the most trustworthy provider of DNA testing services for immigration. We treat every case with utmost respect, confidentiality and sensitivity. Our laboratory partner is accredited by AABB. The United States Citizenship and Immigration Services (USCIS), U.S. embassies, and many immigration offices around the world require that DNA parentage tests for immigration purposes be performed by laboratories accredited by AABB. Any Lab Test Now® understands that immigration is a long process involving many steps. 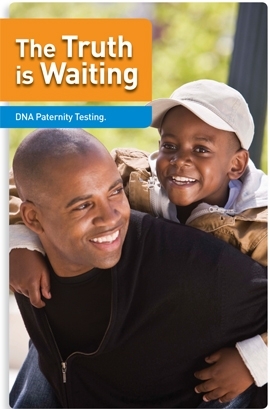 We strive to make the DNA testing portion of the process as simple for our clients as possible. Our dedicated Immigration Team has working relationships with embassies all over the world and are familiar with the procedures set forth by the USCIS and U.S. embassies. You can leave it all up to us. We will take care of the whole procedure from the beginning to the end. For a free consultation about Immigration DNA testing from ANY LAB TEST NOW® please call us and ask for our Immigration Department.